Hundreds of thousands of works of art and artefacts from many parts of the Pacific are dispersed across European museums. They range from seemingly quotidian things such as fish-hooks and baskets to great sculptures of divinities, architectural forms and canoes. These collections constitute a remarkable resource for understanding history and society across Oceania, cross-cultural encounters since the voyages of Captain Cook, and the colonial transformations that have taken place since. They are also collections of profound importance for Islanders today, who have varied responses to their displaced heritage, and renewed interest in ancestral forms and practices. This two-volume book enlarges understandings of Oceanic art and enables new reflection upon museums and ways of working in and around them. In dialogue with Islanders’ perspectives, It exemplifies a growing commitment on the part of scholars and curators to work collaboratively and responsively. 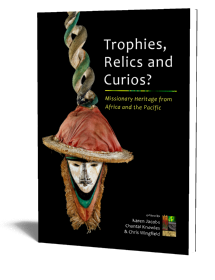 Volume II illustrates the sheer variety of Pacific artefacts and histories in museums, and similarly the heterogeneity of the issues and opportunities that they raise. Over thirty essays explore materialities, collection histories, legacies of empire, and contemporary projects. 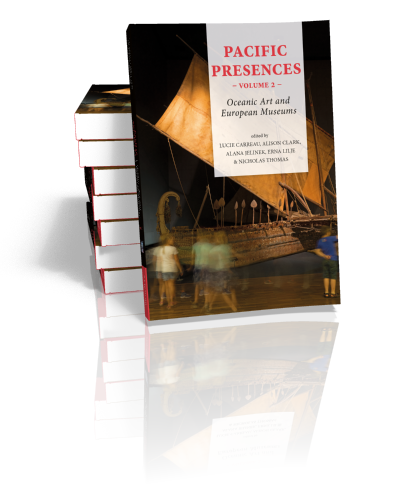 This books is part of the Pacific Presences series. Click here to see the other volumes in this series. 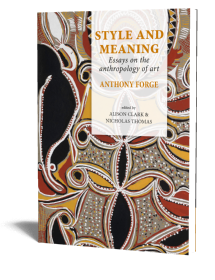 Nicholas Thomas did doctoral research in the Marquesas Islands and has since written extensively on exploration and cross-cultural encounters and on art histories in the Pacific. He has been Director of the Museum of Archaeology and Anthropology in Cambridge since 2006. Lucie Carreau is a researcher based at the Museum of Archaeology and Anthropology (MAA), University of Cambridge. Educated at the École du Louvre (Paris) and Sainsbury Research Unit (Norwich), her work focuses on the history of collecting and collections in the19th century and early 20th century and the role of objects in mediating relationships between Pacific Islanders and European visitors. Erna Lilje pursues the idea that collections can reveal more about the people who made and used the artefacts they hold by bringing to bear an interdisciplinary approach that combines a close examination of these with field-based research. She believes that the most quotidian objects can offer insights into the lives of those people least represented in historical sources, such as women. Alana Jelinek is a practising artist, exhibiting nationally and internationally for over 25 years. She works in a wide range of media, including participatory, film, sound, novel-writing and painting. From 2009 until 2017 she worked with the Museum of Archaeology and Anthropology, University of Cambridge, first as Arts and Humanities Research Fellow (2009-2014) and then as Senior Researcher for Pacific Presences (2013-2018). Alison Clark is a Research Associate at the Museum of Archaeology and Anthropology, University of Cambridge. 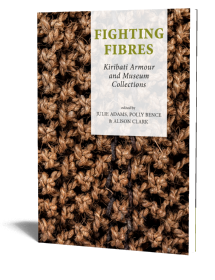 Both her masters (2007) and PhD (2013) theses were on the Indigenous Australian collections at the British Museum. Her current research is focused on Kiribati, where she is interested in the contemporary resonance of historic museum collections, and the revival of certain cultural practices. She has previously worked on projects at the British Museum, and the October Gallery in London.